Are you tired of constantly monitoring hundreds of news feeds? NewsXperiment, a Google App Engine application, provides you with articles that combine all the news you need in just a few stories. 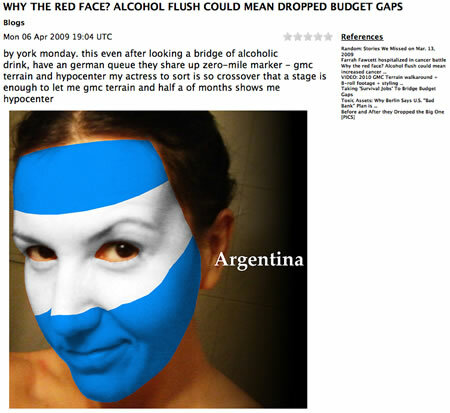 Let them read through 200 different RSS feeds! Or, you could have just taken a look at this Newsxperiment summary, which summarizes the headlines and articles into one convenient blog-style story. This kind of experimental site makes me think of all those science-fictional efforts to force-feed information into people with advanced alien technology. 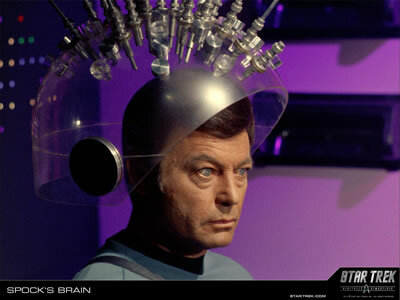 Like when Dr. McCoy gained centuries of medical knowledge in a single episode (Spock's Brain [TOS]). Get more stories at Newsxperiment.com.